This article is about Fascism after World War II. For Nazi movements after World War II, see Neo-Nazism. Neo-fascism is a post–World War II ideology that includes significant elements of fascism. Neo-fascism usually includes ultranationalism, racial supremacy, populism, authoritarianism, nativism and opposition to immigration, as well as opposition to liberal democracy, parliamentarianism, Capitalism, Marxism, Communism and socialism. Allegations that a group is neo-fascist may be hotly contested, especially if the term is used as a political epithet. Some post–World War II regimes have been described as neo-fascist due to their authoritarian nature, and sometimes due to their fascination with and sympathy towards fascist ideology and rituals. Post-fascism is a label that has been applied to several European political parties that espouse a modified form of fascism and which partake in constitutional politics. In 1951, the New European Order (NEO) neo-fascist Europe-wide alliance was set up to promote Pan-European nationalism. It was a more radical splinter group of the European Social Movement. The NEO had its origins in the 1951 Malmö conference when a group of rebels led by René Binet and Maurice Bardèche refused to join the European Social Movement as they felt that it did not go far enough in terms of racialism and anti-communism. As a result, Binet joined with Gaston-Armand Amaudruz in a second meeting that same year in Zurich to set up a second group pledged to wage war on communists and non-white people. Several Cold War regimes and international neo-fascist movements collaborated in operations such as assassinations and false flag bombings. 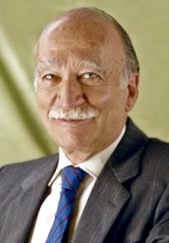 Stefano Delle Chiaie, who was involved in Italy's Years of Lead, took part in Operation Condor; organizing the 1976 assassination attempt on Chilean Christian Democrat Bernardo Leighton. Vincenzo Vinciguerra escaped to Franquist Spain with the help of the SISMI, following the 1972 Peteano attack, for which he was sentenced to life. Along with Delle Chiaie, Vinciguerra testified in Rome in December 1995 before judge María Servini de Cubría, stating that Enrique Arancibia Clavel (a former Chilean secret police agent prosecuted for crimes against humanity in 2004) and US expatriate DINA agent Michael Townley were directly involved in General Carlos Prats' assassination. Michael Townley was sentenced in Italy to 15 years of prison for having served as intermediary between the DINA and the Italian neo-fascists. The regimes of Francoist Spain, Augusto Pinochet's Chile and Alfredo Stroessner's Paraguay participated together in Operation Condor, which targeted political opponents worldwide. During the Cold War, these international operations gave rise to some cooperation between various neo-fascist elements engaged in a "Crusade against Communism". Anti-Fidel Castro terrorist Luis Posada Carriles was condemned for the Cubana Flight 455 bombing on 6 October 1976. According to the Miami Herald, this bombing was decided on at the same meeting during which it was decided to target Chilean former minister Orlando Letelier, who was assassinated on 21 September 1976. Carriles wrote in his autobiography: "... we the Cubans didn't oppose ourselves to an isolated tyranny, nor to a particular system of our fatherland, but that we had in front of us a colossal enemy, whose main head was in Moscow, with its tentacles dangerously extended on all the planet." Giorgio Almirante leader of the Italian Social Movement. Italy was broadly divided into two political blocs following World War II, the Christian Democrats, who remained in power until the 1980s, and the Italian Communist Party (PCI), which was very strong immediately after the war. With the beginning of the Cold War, the British government feared that the requested extradition of Italian war criminals to Yugoslavia would benefit the PCI. Preventing anything like the Nuremberg trials for Italian war crimes, the collective memory of the crimes committed by Italians was excluded from public media, from textbooks in Italian schools, and even from the academic discourse on the Western side of the Iron curtain throughout the Cold War. The PCI was expelled from power in May 1947, a month before the Paris Conference on the Marshall Plan, along with the French Communist Party (PCF). In 1946 a group of Fascist soldiers founded the Italian Social Movement to continue advocating the ideas of Benito Mussolini. The leader of the MSI was Giorgio Almirante, who remained at the head of the party until his death in 1988. Despite attempts in the 1970s towards a "historic compromise" between the PCI and the DC, the PCI did not have a role in executive power until the 1980s. In December 1970, Junio Valerio Borghese attempted, along with Stefano Delle Chiaie, the Borghese Coup which was supposed to install a neo-fascist regime. Neo-fascist groups took part in various false flag terrorist attacks, starting with the December 1969 Piazza Fontana massacre, for which Vincenzo Vinciguerra was convicted, and they are usually considered to have stopped with the 1980 Bologna railway bombing. A 2000 parliamentary report from the center-left Olive Tree coalition concluded that "the strategy of tension had been supported by the United States in order to impede the PCI, and, in a lesser measure, the PSI from reaching executive power". Since the 1990s, the National Alliance, led by Gianfranco Fini, a former member of the Italian Social Movement, has distanced itself from Mussolini and fascism and it has also made efforts to improve its relations with Jewish groups, with most die-hards leaving it; it now seeks to present itself as a respectable right-wing party. Fini joined Silvio Berlusconi's government. Neo-fascist parties in Italy include the Tricolour Flame ("Fiamma Tricolore"), the New Force ("Forza Nuova"), the National Social Front ("Fronte Sociale Nazionale"), and CasaPound. After the fall of authoritarianism in Portugal after the Carnation Revolution of 1974, several neo-fascist Salazarist groups arose such as the New Order (Portugal) which was created in 1978. A report by the European Parliament defined the ideology of the New Order as revolutionary fascist and hyper-nationalist. The group also had connections to Fuerza Nueva in Spain. The New Order was disbanded in 1982, however its activities continued to as late as 1985. Kotleba – People's Party Our Slovakia is a far-right political party with views that are considered extremist and fascist. The Party's leader, Marian Kotleba, is a former neo-Nazi, who once wore a uniform modelled on that of the Hlinka Guard, the militia of the 1939-45 Nazi-sponsored Slovak State. He opposes Romani people, immigrants, the Slovak National Uprising, NATO, the United States, and the European Union. The party also endorses clerical fascist war criminal Slovak President Jozef Tiso. In 2003, Kotleba founded the far-right political party Slovak Togetherness (Slovak: Slovenská Pospolitosť). In 2007, the Slovak interior ministry banned the party from running and campaigning in elections. In spite of this ban, Kotleba's party got 8.04% of votes in the Slovak 2016 parliamentary elections, and voter opinion towards the party continues to increase. Grey Wolves is a Turkish ultra-nationalist and neo-fascist youth organization. It is the "unofficial militant arm" of the Nationalist Movement Party. The Grey Wolves have been accused of terrorism. According to Turkish authorities,[who?] the organization carried out 694 murders during the late-1970s political violence in Turkey, between 1974 and 1980. The nationalist political party MHP founded by Alparslan Türkeş is also sometimes described as neo-fascist. The British National Party (BNP) was a nationalist party in the United Kingdom which espoused the ideology of fascism and anti-immigration. In the 2009 European elections, it gained two members of the European Parliament (MEPs), including former party leader Nick Griffin. Other British organisations described as fascist or neo-fascist include the National Front, Combat 18, the English Defence League, and Britain First. The UK Independence Party (UKIP) has been accused by political opponents of holding to elements of fascism e.g. populist nationalist and anti-immigration policies. However, UKIP has denied this, stating that its policies are not anti-immigration but pro-controlled immigration, patriotic not nationalist, in support of British democracy, and for all British citizens without regard to ethnicity or country of birth. Furthermore, it supports a small state and economic freedom, which are not typically found within Fascism. A London School of Economics blog examined both UKIP and the BNP and, while it did find similarities in demographic support and a few policies, it failed to conclude any strong ideological links between them. However, it did remark on a coinciding increase in support of UKIP and a decrease in support for the BNP, speculating a possible relationship between them. Some leftist literature, critical of UKIP, also denies that they are fascist. Groups identified as neo-fascist in the United States generally include neo-Nazi organizations and movements such as the National Alliance, and the American Nazi Party. The Institute for Historical Review publishes negationist historical papers often of an anti-semitic nature. The alt-right—which covers a broad range of groups, from authoritarian right-wing technocrats and neo-monarchists to neoreactionaries and white nationalists—is also often included under the umbrella term "neo-fascist", as many adhere to a radical authoritarian ultranationalism. The Bolivian Socialist Falange party founded in 1937 played a crucial role in mid-century Bolivian politics. Luis García Meza Tejada's regime took power during the 1980 Cocaine Coup in Bolivia with the help of Italian neo-fascist Stefano Delle Chiaie, Nazi war criminal Klaus Barbie and the Buenos Aires junta. That regime has been accused of neo-fascist tendencies and of admiration for Nazi paraphernalia and rituals. Hugo Banzer Suárez, who preceded Tejada, also displayed admiration for Nazism and fascism. Brenton Harrison Tarrant, the Australia-born perpetrator of the Christchurch mosque shootings at Al Noor Mosque and Linwood Islamic Centre in Christchurch, New Zealand was an admitted fascist who followed eco-fascism and admired Oswald Mosley the leader of the British fascist organization British Union of Fascists (BUF) who is also quoted once in the shooter's manifesto The Great Replacement (named after the French far-right theory of the same name). With Mongolia located between the larger nations Russia and China, ethnic insecurities have driven many Mongolians to neo-fascism, expressing nationalism centered around Genghis Khan and Adolf Hitler. Groups advocating these ideologies include Blue Mongolia, Dayar Mongol, and Mongolian National Union. The National Socialism Association (NSA) is a neo-fascist political organization founded in Taiwan in September 2006 by Hsu Na-chi (許娜琦), a 22-year-old female political science graduate of Soochow University. The NSA views Adolf Hitler as its leader and often uses the slogan "Long live Hitler". This has brought them condemnation from the Simon Wiesenthal Center, an international Jewish human rights center. Adolf Hitler's propaganda which advocated the hegemony of "Greater Germany" inspired similar ideas of "Indonesia Mulia" (esteemed Indonesia) and "Indonesia Raya" (great Indonesia) in the former Dutch colony. The first fascist party was the Partai Fasis Indonesia (PFI). Sukarno admired Hitler's Third Reich and its vision of happiness for all: "It's in the Third Reich that the Germans will see Germany at the apex above other nations in this world," he said in 1963. He stated that Hitler was 'extraordinarily clever' in 'depicting his ideals': he spoke about Hitler's rhetorical skills, but denied any association with Nazism as an ideology, saying that Indonesian nationalism was not as narrow as Nazi nationalism. ^ "Post-fascist - definition of post-fascist by The Free Dictionary". TheFreeDictionary.com. Archived from the original on 3 May 2014. Retrieved 15 August 2013. ^ Tauber, Kurt P. (1959). "German Nationalists and European Union". Political Science Quarterly. 74 (4): 564–89. doi:10.2307/2146424. ISSN 0032-3195. JSTOR 2146424. (Registration required (help)). ^ Documents concerning attempted assassination Archived 7 June 2006 at the Wayback Machine of Bernardo Leighton, on the National Security Archives website. ^ "mun6". Jornada.unam.mx. 22 May 2000. Archived from the original on 22 April 2011. Retrieved 22 October 2008. ^ Preface Archived 6 May 2006 at the Wayback Machine to Los Caminos del Guerrero, 1994. ^ Alessandra Kersevan2008: (Editor) Foibe - Revisionismo di stato e amnesie della repubblica. Kappa Vu. Udine. ^ Pedaliu, Effie G. H. (2004). "Britain and the 'Hand-over' of Italian War Criminals to Yugoslavia, 1945-48". Journal of Contemporary History. 39 (4, Collective Memory): 503–29. doi:10.1177/0022009404046752. ISSN 0022-0094. JSTOR 4141408. (Registration required (help)). ^ Cameron, Rob (6 March 2016). "Marian Kotleba and the rise of Slovakia's extreme right - BBC News". Archived from the original on 9 March 2016. Retrieved 13 March 2016. ^ Azet.sk. "Marián Kotleba: Štát chráni cigánskych parazitov". aktuality.sk. Archived from the original on 26 September 2015. Retrieved 13 March 2016. ^ "Spustili sme petíciu proti príchodu imigrantov na Slovensko!". Kotleba - Ľudová strana Naše Slovensko. Archived from the original on 12 March 2016. Retrieved 13 March 2016. ^ s., P E R E X, a. (9 January 2014). "Šéfovia krajov sa u prezidenta nezhodli s Kotlebom na téme SNP - Pravda.sk". Pravda.sk (in Slovak). Archived from the original on 10 March 2016. Retrieved 13 March 2016. ^ "Neustupujte teroristom, hrozí vám diktát Bruselu, píše Kotleba Janukovyčovi | Svet | Hospodárske noviny - Denník o ekonomike a financiách". hn.hnonline.sk. Archived from the original on 26 September 2015. Retrieved 13 March 2016. ^ Azet.sk. "Fico: Podceňujeme hodnoty, Tiso bol vojnový zločinec". Archived from the original on 10 December 2017. Retrieved 16 May 2017. ^ s., P E R E X, a. "Parlamentné voľby 2016 - Voľby - Pravda.sk". Pravda.sk (in Slovak). Archived from the original on 13 March 2016. Retrieved 13 March 2016. ^ Harry Anastasiou, The Broken Olive Branch: Nationalism, Ethnic Conflict, and the Quest for Peace in Cyprus, Vol. 2, (Syracuse University Press, 2008), 152. ^ Martin van Bruinessen, Transnational aspects of the Kurdish question, (European University Institute, Robert Schuman Centre, 2000), 27. ^ Martin A. Lee (1997). "On the Trail of Turkey's Terrorist Grey Wolves". The Consortium. Archived from the original on 5 August 2014. Retrieved 16 April 2014. ^ Thomas Joscelyn (6 April 2005). "Crime of the Century". Weekly Standard. Archived from the original on 13 July 2014. Retrieved 16 April 2014. ^ Combs, Cindy C.; Slann, Martin (2007). Encyclopedia of terrorism. New York: Facts On File. p. 110. ISBN 9781438110196. In 1992, when it emerged again as the MHO, it supported the government's military approach regarding the insurgency by the Kurdistan Worker's Parry (PPK) in southeast Turkey and opposed any concessions to Kurdish separatists. .... The Grey Wolves, the unofficial militant arm of the MHP, has been involved in street killings and gunbattles. ^ Michael, M. (2009-11-09). Resolving the Cyprus Conflict: Negotiating History. Springer. ISBN 978-0-230-10338-2. ^ Renton, David (1 March 2005). "'A day to make history'? The 2004 elections and the British National Party". Patterns of Prejudice. 39: 25–45. doi:10.1080/00313220500045170. Retrieved 15 January 2009. ^ Thurlow, Richard C. (2000). Fascism in Modern Britain. Sutton. ISBN 978-0-7509-1747-6. ^ Copsey, Nigel (September 2009). Contemporary British Fascism: The British National Party and the Quest for Legitimacy (2nd ed.). Palgrave Macmillan. ISBN 978-0-230-57437-3. ^ Wood, C; Finlay, W. M. L. (December 2008). "British National Party representations of Muslims in the month after the London bombings: Homogeneity, threat, and the conspiracy tradition". British Journal of Social Psychology. 47 (4): 707–26. doi:10.1348/014466607X264103. PMID 18070375. ^ "BNP Policies – Immigration". British National Party. 24 April 2014. Archived from the original on 27 November 2016. Retrieved 26 November 2016. ^ "BNP secures two European seats". BBC News. 8 June 2009. Archived from the original on 18 August 2017. Retrieved 26 November 2016. ^ Wilkinson, Paul (1981). The New Fascists. London: Grant McIntyre. p. 73. ISBN 978-0330269537. ^ Shaffer, Ryan (2013). "The Soundtrack of Neo-Fascism: Youth and Music in the National Front". Patterns of Prejudice. 47 (4–5). p. 460. doi:10.1080/0031322X.2013.842289. ^ Hall, Nathan; Corb, Abbee; Giannasi, Paul; Grieve, John (2014). The Routledge International Handbook on Hate Crime. Routledge. p. 147. ISBN 9781136684364. ^ Alessio, Dominic; Meredith, Kristen (2014). "Blackshirts for the Twenty–First Century? Fascism and the English Defence League". Social Identities. 20 (1). pp. 104–118. doi:10.1080/13504630.2013.843058. ^ Bienkov, Adam (19 June 2014). "Britain First: The violent new face of British fascism". Politics.co.uk. Archived from the original on 11 December 2016. Retrieved 20 January 2017. ^ Foxton, Willard (4 November 2014). "The loathsome Britain First are trying to hijack the poppy – don't let them". The Telegraph. Archived from the original on 5 November 2018. Retrieved 8 September 2018. ^ "UKIP Election Manifesto 2015". UKIP. Archived from the original on 10 May 2015. Retrieved 12 May 2015. ^ Michael White (17 May 2013). "Nigel Farage's fascist barrage". The Guardian. London. Archived from the original on 8 November 2016. Retrieved 15 December 2016. ^ "While there are differences, there are also important similarities between the profiles of UKIP and BNP's respective support bases". British Politics and Policy at LSE. Archived from the original on 22 December 2015. Retrieved 2 May 2015. ^ "UKIP and the crisis of conservatism". Socialist Review. Archived from the original on 18 May 2015. Retrieved 12 May 2015. ^ "What kind of a party is Ukip?". Socialist Worker (Britain). Archived from the original on 18 May 2015. Retrieved 12 May 2015. ^ "Yes they're right wing, but UKIP is not fascist". Labour Uncut. Archived from the original on 18 May 2015. Retrieved 12 May 2015. ^ Motadel, David (17 August 2017). "The United States was never immune to fascism. Not then, not now | David Motadel". The Guardian. ISSN 0261-3077. Archived from the original on 27 February 2018. Retrieved 27 November 2017. ^ "Global Pulse: Taking a right turn – ThePrint". ThePrint. 14 November 2017. Archived from the original on 1 December 2017. Retrieved 27 November 2017. ^ Waxman, Olivia B. (March 17, 2019). "What Historians of Fascism Think About The Suspected New Zealand Shooter's Declaration of Extremism". Time. Retrieved April 1, 2019. ^ "New Zealand killer says his model was Nazi-allied British fascist". The Forward/Times of Israel. March 15, 2019. Retrieved April 1, 2019. ^ "Postcard: Ulan Bator - TIME". TIME.com. 27 July 2009. Archived from the original on 22 July 2009. Retrieved 30 September 2009. ^ "Mongolia's leading English language news". The UB Post. Archived from the original on 12 May 2011. Retrieved 30 September 2009. ^ "Taiwan political activists admiring Hitler draw Jewish protests - Haaretz - Israel News". Haaretz.com. Archived from the original on 4 March 2010. Retrieved 22 October 2008. ^ Aboeprijadi Santoso (20 July 2008). "Fascism in Indonesia, no big deal?". The Jakarta Post. Archived from the original on 9 January 2014. Retrieved 9 January 2014. Cento Bull, Anna (2007). Italian Neofascism: The strategy of tension and the politics of nonreconciliation. Berghahn Books. Wikimedia Commons has media related to Neofascism. Eternal Fascism: Fourteen Ways of Looking at a Blackshirt - Umberto Eco's list of 14 characteristics of Fascism, published in 1995. This page was last edited on 17 April 2019, at 14:39 (UTC).